Now In a bowl, mix milk powder, plain flour and baking soda, add cream and mix it well. Dough should be very soft and sticky. If you feel dough is bit dry add little bit milk. Cover and set aside for about 15 minutes. Dough will be easy to handle now. Knead the dough with greased hands. 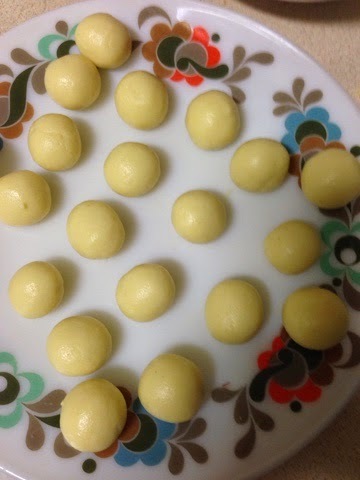 Now pinch the dough equal the amount of a cherry and roll in round ball. Ball should be really smooth with no cracks. 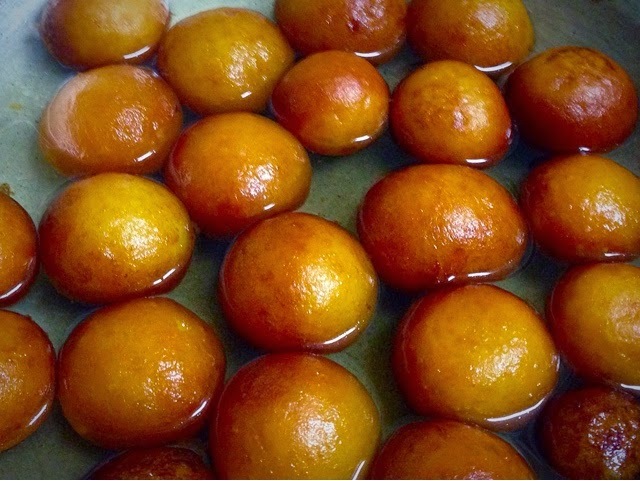 You'll get almost 20 Gulab jamun. 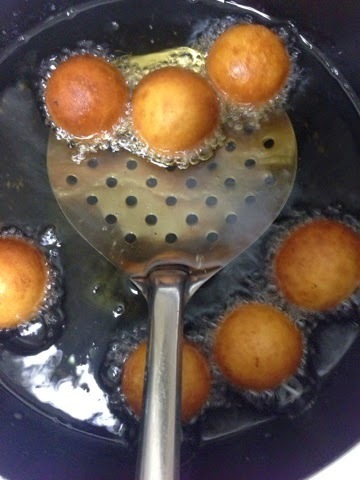 Now heat the oil in a frying pan on medium heat and fry all balls golden brown. 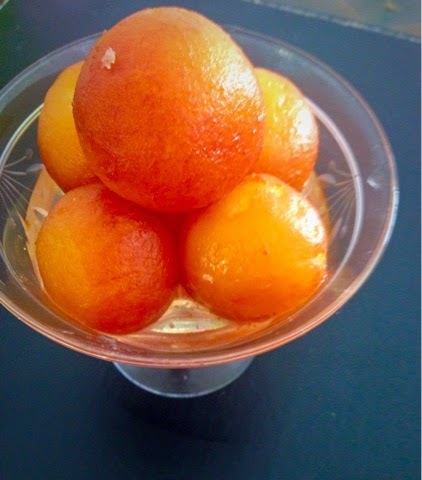 Oil should not be too hot, balls should rise to surface slowly. 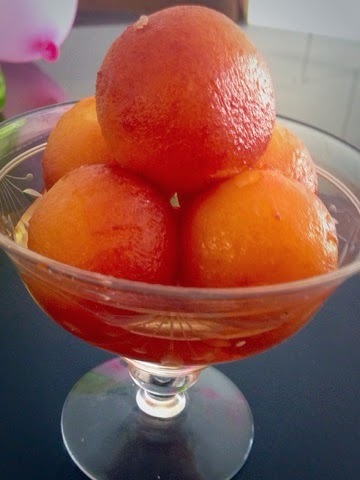 Gulab jamuns will be bit softer after taking out from oil. Let them cool down for about 5-7 minutes. 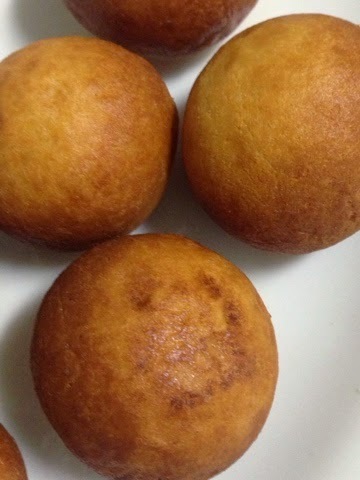 Now immerse fried balls in hot sugar syrup. Serve after half an hour.